For those looking to try marijuana for the first time – whether for medical or recreational use – it can seem a daunting world of alphabet soup and unfamiliar terms. A good place to start is understanding the two main species of cannabis and how each can affect you. Another is understanding why so many people are turning to marijuana to treat pain and other conditions. But another area that can get confusing involves two of the active ingredients in marijuana: tetrahydrocannabinol and cannabidiol, better known as THC and CBD. Both are natural elements found within the cannabis plant. However, both affect you in different ways. Every scene you have seen in every movie that involves someone using marijuana is actually a scene of someone experiencing the effects of THC. It’s what gives users the high feeling that can include slightly altered states and deep relaxation. Also, things become very funny and you may find yourself very hungry. Research is ongoing on the effects of marijuana on the brain. What is known is that THC interacts with the brain and central nervous system, bonding with receptors in both areas. It acts much in the way of anandamide, a naturally occurring chemical in the body that controls sleeping and eating habits. Cannabis with THC isn’t just for fun, although an increasing number of people are using it to relax rather than drinking alcohol. It also can help treat those who experience depression and combat some of the side effects of cancer patients undergoing chemotherapy. Some research also has shown that combining THC with CBD has the best affect for different conditions, such as inflammation or pain. For example, GW Pharmaceutical’s Sativex (available only in Europe) combines CBD with THC. Unlike THC, CBD delivers medical advantages without the psychoactive effects. In fact, CBD is known to inhibit some of the affects of THC, including short-term memory loss and the anxious feeling some people experience when using certain strains. Users typically take CBD through an oil extract. Producers now grow hemp specifically for the purpose of creating CBD products. These can be used to treat everything from muscle aches to headaches and even menstrual cramps. Politically, CBD products – because they have no psychoactive affects – have been legalized in many states (such as the South) that have steered clear of legalizing other cannabis products. The medical uses for CBD remain undiscovered as little research has been done on the issue. The University of Oxford in England recently launched a study into the potential users of CBD, particularly with cancer patients. However, some experts believe the best medical uses of cannabis are derived from the “whole-plant effect,” meaning some combination of THC, CBD and the other active elements in marijuana. As research continues to unfold, more uses for both elements will likely come to light. 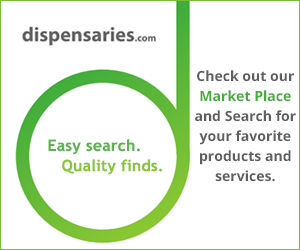 But those looking to try marijuana already enjoy a large marketplace of products. Now that you understand the different between THC and CBD, the best advice is to experiment with both – including combinations of the two – and find what best suits your needs.